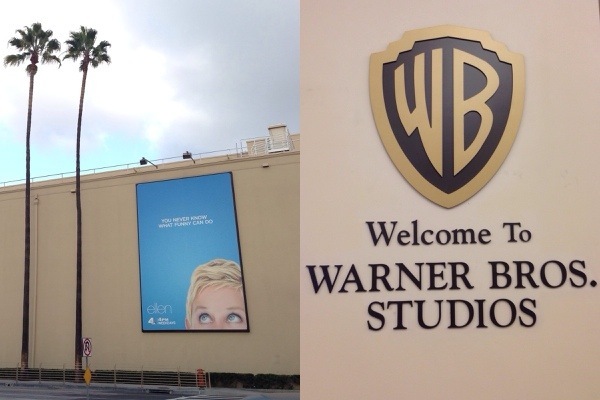 10 years ago when I moved to Los Angeles, I had the opportunity to go see the Ellen DeGeneres Show (that's what it was called back then). It was the very first season and I was freelancing for Hudson Jeans. We delivered some denim to Ellen. Yes, meaning I got to not only meet her stylist, but also her!! It was awesome and I remember thinking that she was just so funny, genuine, and down to earth. I attended several of her tapings and remember that the studio used to be SO COLD. I brought my cousin Cindy to a show when she visited during one of her school breaks - she remembers it was the episode with Jerry O'Connell. It was awesome and I really didn't know how good I had it. No waiting in line, just parking the car in the lot (it was a different location back then) and walking in through some door and getting seated shortly after. Then one time my friend Stacey came from Atlanta to interview Ellen and she had 5 minutes after a show on stage one on one. I simply sat in audience (all alone) and watched the two have a lovely chat as if Stacey was her private guest. Several fun and amazing experiences that I am ever so grateful for, though wish I had documented properly, as I do not even remember who the guests were. Then fast forward 10 years. JC's mom (a HUGE Ellen fan) is staying in our converted one bedroom garage unit for a few months. JC manages to get 4 tickets and we announce the surprise at dinner one night. Everyone was super excited, but I have to say my cousin Cindy wins the award for best immediate reaction. Should have gotten it on video. Yesterday was our big day out and since I wasn't sure what the rules about cell phones/cameras would be, I made sure to get some documentation from the get go. Here we are about to leave for the show. Unbeknownst to us, we miraculously were in for the most amazingly traffic-free drive. We arrived earlier than anticipated, but enjoyed relaxing and sitting around soaking up all the excitement. Even the security people were in good spirits, making us laugh for the photo.Once we were let in, Cindy and I couldn't resist sitting in the big chair, that they promptly took away seconds after we snapped this.So before I go on, I have to preface that Cindy and I went a bit overboard trying to figure out whether we would be on a 12 Days of Giveaways episode. After seeing many years of the fantastic segments and then Paige's post about attending several years ago, Cindy added it to her bucket list. According to the calendar and what we thought were incredible detective skills, we decided there was a pretty good chance (over 90%) that it would be. Paige went on December 2nd and it was the 1st day of giveaways. Our tickets were for December 3rd, so we thought the chances were pretty high. JC was pretty adamant about advising us not to get our hopes up. 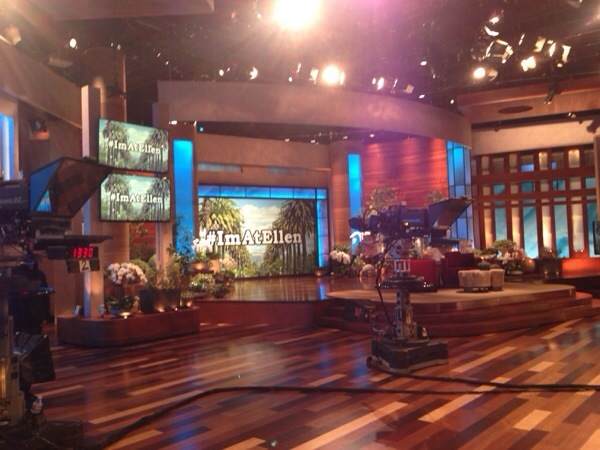 We talked ourselves into not being disappointed either way, I mean, he got us amazing tickets to the Ellen show! But we tend to get over zealous and we kept going back and forth convincing ourselves we would be happy no matter what. Because we DVR the show (it airs at 4pm locally, typically the day after taping), we saw a teaser on an episode about Adam Levine being the guest for the 1st day of giveaways which was Thursday. Since our tickets were for Tuesday, our episode would likely air on Wednesday, the day before 12 Days was to start. We were a bit sad, but still grateful to go and see an awesome show. And let's just say, in true Ellen fashion, she did not disappoint! I don't care much about seeing myself dancing like a fool on tv, but if you want to try to spot a needle in a haystack, I am right next to the DJ booth in the second row. 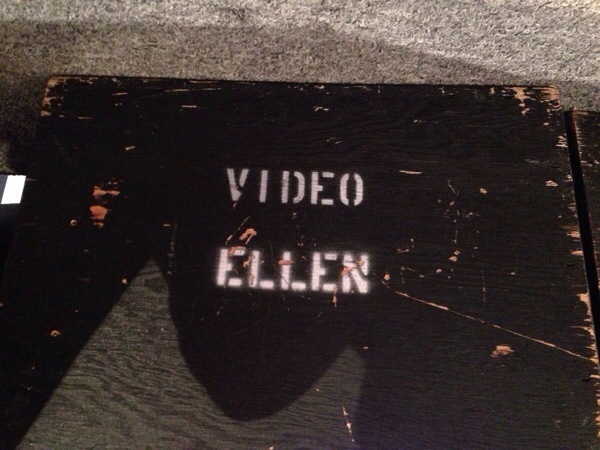 You can see mommy very clearly in her gold shirt at around 2:45 in this video of Ellen's monologue. An amazing day we will absolutely never forget! GIVEAWAY: Ellen's I'm Gonna Make You Dance Jams CD and Bastille's debut album Bad Blood. 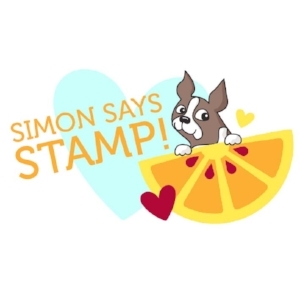 To enter, simply leave a fun comment. Giveaway will close Friday, December 6 at 7am, and a winner will be announced here and notified shortly after.